Sometimes you can notice that performance of your Magento 2 store is getting worse. This may indicate the necessity of maintenance. In this article you will find how. First, let’s clear the cache. Go to the System section in the admin panel and select the Cache Management option. Next, you need to specify what types of cache will be re-freshed. You can see a description of the each cache type that may help you to decide. Then, select the Enable option from the dropdown menu and click the Submit button. When done, select the activated types of cache and choose the Refresh option from the same dropdown and hit the Submit button. Now, you have refreshed the selected types of cache. 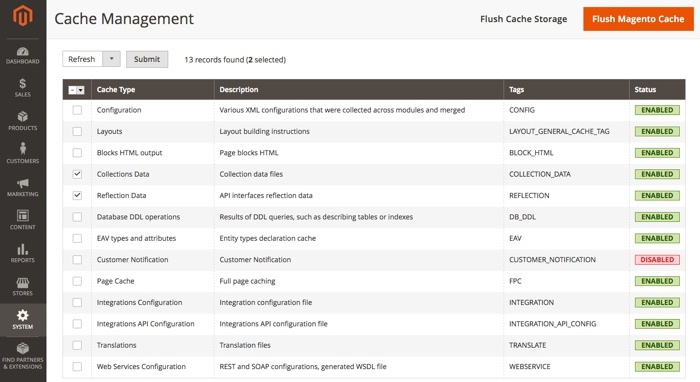 Second, you can Flush Magento Cache and Flush Cache Storage. 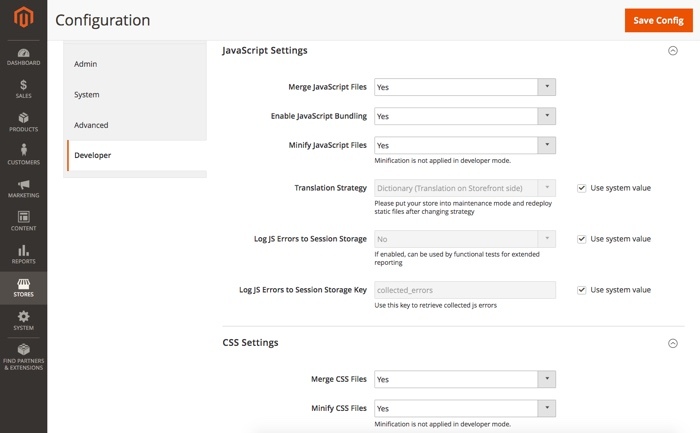 The first option allows you to delete all the default cache items that have Magento tag. The second one provides you with the ability to delete all the items form cache wether they have Magento tag or not.